Brian is your local Yokine Building Inspector. Brian was born in Perth and grew up in Cottesloe with time spent swimming and surfing on Cottesloe Beach. He enjoyed playing cricket and football as he grew up. Brian’s building experience of over 40 years started when he did his pre-apprenticeship in Carpentry and Joinery at Fremantle Technical School. He then worked as a carpenter in Perth for a few years and then moved to Melbourne for a holiday and stayed there for 25 years, where he started his own business doing house framing. Brian then moved into the commercial side of building about 15 years ago and has built a number of different buildings, ranging from Police Stations, Schools, Nursing Homes, Apartment Blocks and 2 Coles Shopping Centres located in Melbourne and Brisbane. Over the years, Brian has done extensive travel all over Australia which has expanded his experience over a lot of different facets of the business industry. 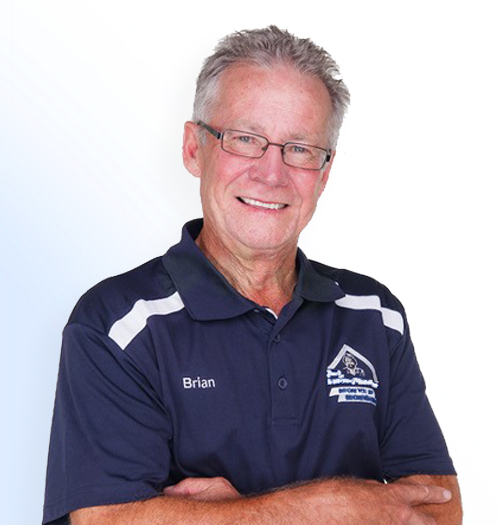 Brian offers a wide range of building inspection services that include Pre-Purchase Building Inspections and Premium Building Inspections (which incorporates a Licensed Plumber, Electrician, Building Inspection and more). Brian is fully insured with complete Public Liability and Professional Indemnity insurance for client’s peace of mind. Brian is married and has 2 lovely daughters living in Melbourne. His favourite past times are cycling, fishing and watching AFL football and the cricket.